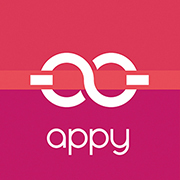 Appy Couple does not yet have print invitations as a standard part of our packages. However, you can order them to match certain designs featured in the select collections listed below. We do have matching digital stationery that you can you use as you wish, like for Save The Dates. What should I print about Appy on Save The Dates or Invitations?